We are English Heritage members (which I would highly recommend - find our more here). We pay an annual membership fee of about £80 for the 5 of us and can visit as many English Heritage sites and events as we would like throughout the year at no additional cost. We always try and incorperate an English Heritage day out into our holidays as it always works out as a very low cost day out. 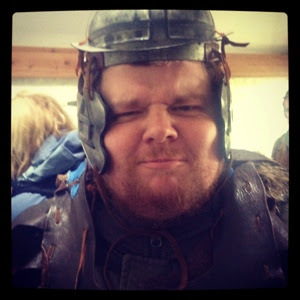 (See previous reviews of Belsay hall, Warkworth Castle, Lindisfarne priory and Dunstanborough castle) We usually learn something and always have lots of fun. 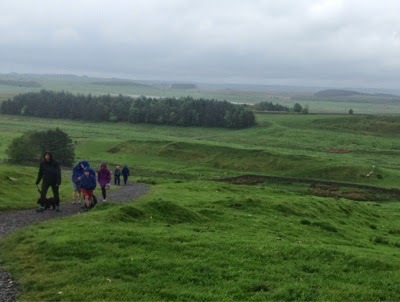 This week, we decided to explore part of Hadrian's Wall. 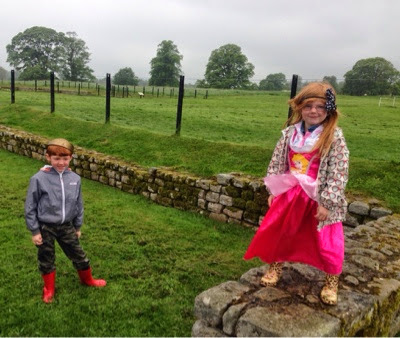 We decided to explore Chester and Housesteads Roman Forts which are conveniently situated just 7 miles apart. We had never been to either of these places before so did not know what to expect. We started with Chester's and were welcomed by very friendly staff in the small gift shop. Parking is £3 at this site but this is refunded on entry. 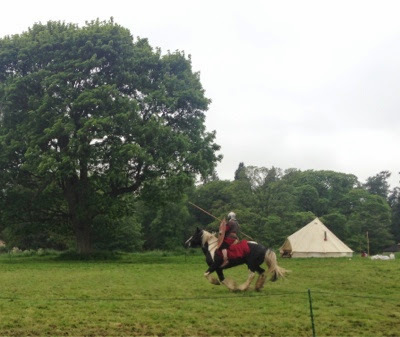 On the day of our visit the Fort was holding a 'Stop the cavalry' event. We arrived just in time to watch the show. 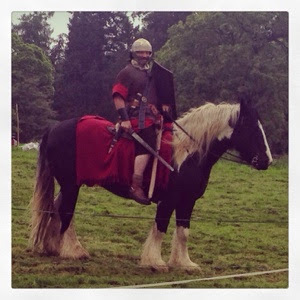 A Roman Soldier demonstrated different horseback techniques with various weapons including spears, swords and crossbows. It was great fun to watch and the crowd cheered as the soldier skillfully hit his targets. We learned a few facts about how soldiers on horseback would have assisted and help the army. It was great to watch and listen to. 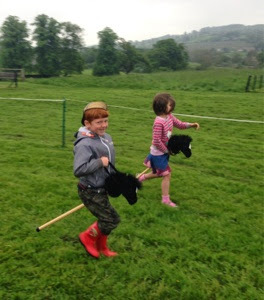 After this our budding soldiers were invited to choose a horse of their own and race against each other. The kids loved taking part and the enthusiastic and friendly staff kept everybody's spirits up despite the miserable weather! 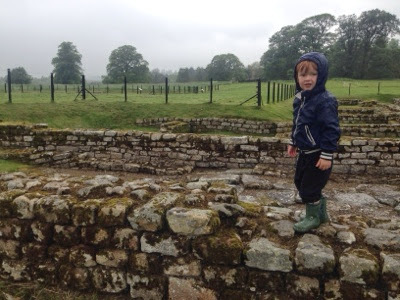 Then we explored the Roman Fort and bathhouse. 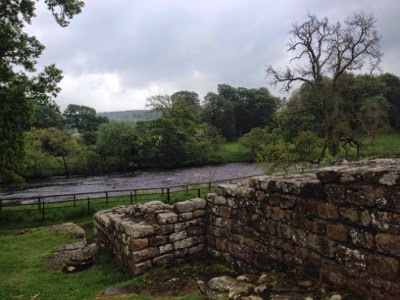 Unusually, Chesters is on a mostly flat site so fairly accessible to all. You can walk around the fort from the outside or explore in the thick of it as we did. Our children seem to love nothing more than climbing! We walked down to the bathhouse near the river and enjoyed reading the information signs and learning how Roman's would bathe. The views of the river from here are stunning. After a quick toilet stop we had a look around the on-site museum. There are lots of original Roman pillars and columns to look at and it is nice to see some real Roman carving. There are also a few small artefacts and coins to look at as well. 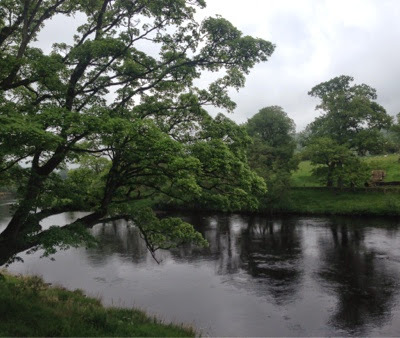 We would definitely come back to Chesters as I think it would be a lovely spot for a picnic in the summer (there were lots of tables provided). It is worth noting there is no cafe/tea room so a picnic is probably best. You can buy tea/coffee and a few snacks from the gift shop though. 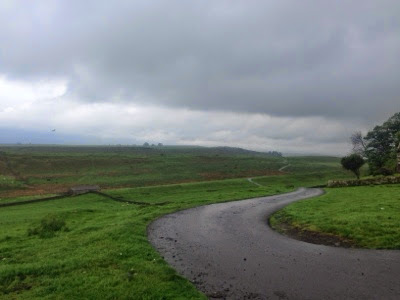 Back in the car we travelled the 7 miles along military road to Housesteads Roman Fort. Again you had to pay for parking but this was refunded on entry. Housesteads is operated by both National trust and English heritage so entry would be free if you are a member of either. Entry was again through a gift shop. There was no cafe as such but there was a selection of food for sale in the gift shop. Everybody chose something savoury and a treat plus a drink. Prices on the shelf did seem on the expensive side however the total bill for 5 of us was £21 which wasn't bad at all. There is an indoor seating area upstairs where you can eat your food or enjoy a hot drink. The food was locally sourced and delicious, especially the sausage rolls from Rothbury bakers. It is a good job we stopped for a re-fuel as there is quite a hike to the fort from the entrance and it is mostly uphill! Our 3 year old managed it without moaning though so it couldn't have been too bad. The views of the surrounding countryside were beautiful. You walk through an open field of sheep and lambs too which the kids will love. Halfway there the rain really started to come down and I must admit I started to think about turning around. Hubby convinced me to keep going though and I'm pleased we did. 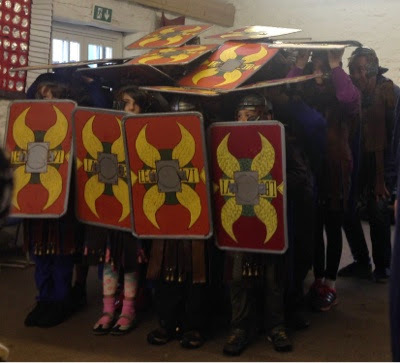 We arrived just in time for Roman Army School which was just fantastic. 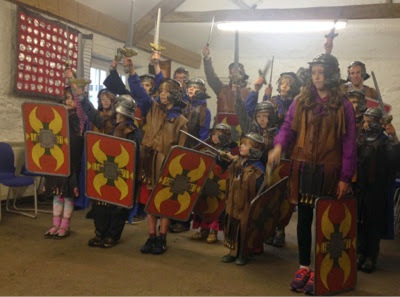 Our children were dressed in authentic Roman clothes and given their own swords and shields. Dads were encouraged to take part too. 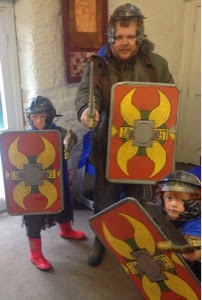 We were then taken to the classroom and Maximus took on the task of training his new army. It was great fun and the trainee soldiers learned how to march, use their shields together, charge, stand to attention and scare the enemy. There was lots of shouting and fierce looking faces. I don't know who enjoyed it more, the dad's or the children! 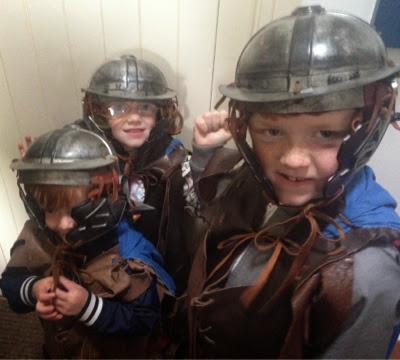 We all successfully graduated from Roman Army School. We had a quick look around the attached museum before practising our marching skills all the way back to the car. We would have loved to have looked around the fort but after being out in the cold and rain all day we were ready for home but will definitely return to visit in the summer. 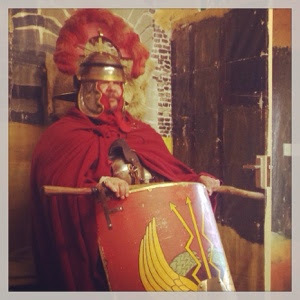 What a great day out learning about history and the Romans along Hadrian's wall. I love days like this where they're filled with fun experiences that you learn from and can take part in. Thanks for linking up with Country Kids.